Sebastian Jacques Henri “Bas” van de Goor accomplished so much over the course of his volleyball career. Bas sparked the Netherlands to the 1996 FIVB World League title, and that was just the beginning of his memorable 1996 season. Under the leadership of famed Dutch coach and 2014 International Volleyball Hall of Fame inductee Joop Alberda, the middle blocker starred on a team of all-stars that also included 2012 inductee Peter Blange and 2017 inductee Ronald Zwerver. Bas carried the Dutch on his shoulders throughout the 1996 Atlanta Olympic Games and led the Netherlands to its first-ever Olympic Games gold medal in one of the sport’s most thrilling finals, topping favorite Italy in an exhilarating five-set victory - avenging an earlier three-set loss to Italy in pool play. At the conclusion of the 1996 Games, Bas was recognized as the most valuable player cementing his mark on the grandest stage. As memorable of a moment as that was, Bas and his brother Mike, became the first brothers to win volleyball gold at the same Olympic Games. A year after winning the Atlanta Games, Bas led the Netherlands to gold at the European Championship in 1997. He also competed in the 2000 Sydney Olympic Games with Mike as a teammate once again. The Netherlands finished in fifth place, losing to eventual gold-medalist Yugoslavia in an epic five-set match that denied the Dutch a second straight Olympic gold. Despite his team finishing in fifth place, Bas was honored with his second most valuable player award at the end of the 2000 Olympics. He concluded his eight year international career with 295 matches played for the Netherlands. Bas also enjoyed an illustrious pro career having played for Dynamo Apeldoorn in the Netherlands, along with Clubs in Treviso and Modena in Italy. His professional resume includes three titles in the famed European Champions League. In 2003 and only three years after his second Olympic Games, Bas was diagnosed with type 1 diabetes. Noticing that sporting activity had a positive effect on his diabetic symptoms, he continued playing for two additional years before switching to the role of technical director of volleyball club Piet Zoomers/Dynamo in Apeldoorn. After his playing career was over, he founded the Bas van de Goor Foundation in 2006 with the mission to improve the quality of life for people with diabetes through sports. In 2008, Bas wrote a book titled “High on Insulin”, illustrating how he, together with seven other people with diabetes and a medical team, climbed Mount Kilimanjaro to highlight how it is possible to live a complete and full life with diabetes. Bas was not limited to the indoor game after his playing career was over. 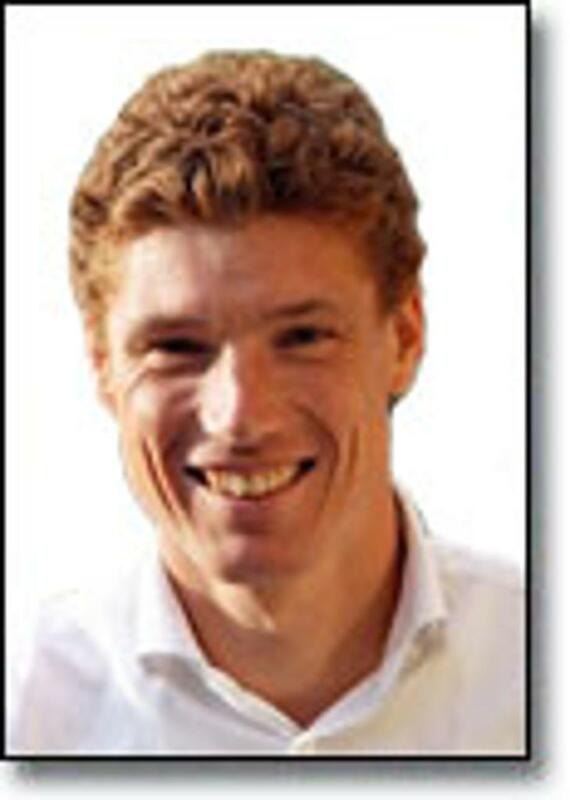 He served as a key administrator for beach volleyball in his native the Netherlands. After serving as the tournament director of The Hague Grand Slam for two terms, Bas shifted into the tournament chief role of the highly successful 2015 FIVB Beach Volleyball World Championships. In 2016, Bas suffered a second major health setback when it was announced he was diagnosed with lymphoma – a form of cancer that attacks the immune system. Bas underwent chemotherapy to aggressively fight the cancer and in May of 2017 learned the treatment was successful. Bas quickly began working on his fitness and is now back with the same amount of energy he had before the diagnosis. For his outstanding career leading the Netherlands to unparalleled heights and bringing a better quality of life to others around him, we are proud to induct Sebastiaan Jaques Henri “Bas” van de Goor into the International Volleyball Hall of Fame as a male indoor player.